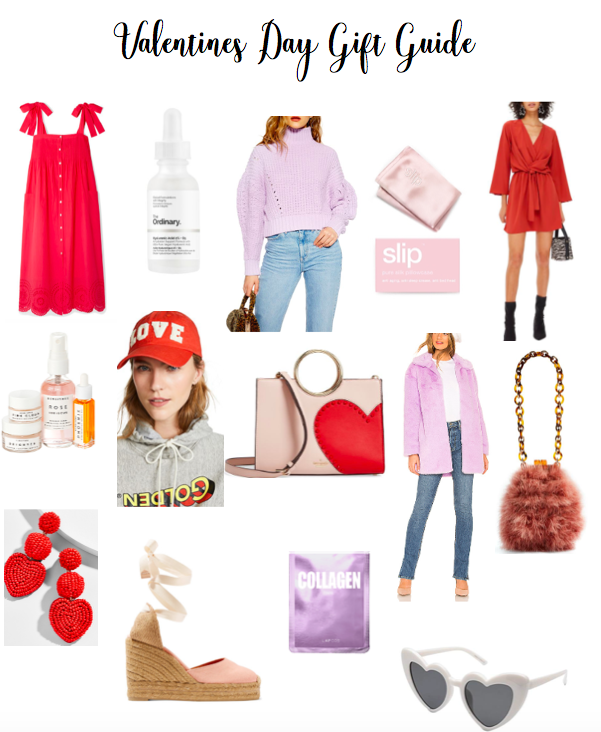 From skincare to shoes, my gift guide is sure to please at least one of your gal pals (or even yourself) this upcoming valentines day. I created this guide baed upon the colors and trends that I am loving for this upcoming valentines day! On top of that, I always look out for the price point because I always want to share with you all great finds, at a price that would't make you or your wallet cry. With that being said, each item on the gift guide is below $100! If any item sparks your intrest, click the links below to shop!